We are the Racing History Preservation Group. Incorporated in New Hampshire, we are a 501 (c) 3 non-profit. Some of the most significant personalities in Northeast Motorsports are members of our Board of Directors. No member of the Executive Committee or the Board receives any compensation in exchange for their services. Holder of an MS and a PhD from Tufts University, Berggren owned, drove and won in race cars in the Northeast. He founded two auto racing magazines and edited a third which he drove to become the largest circulated motorsports publication in history. For more than 30 years, Berggren has covered big league stock car racing from the pit roads of some of the sport's biggest events for ESPN, CBS, TBS, SPEED, TNN and FOX TV. 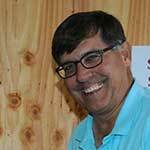 A retired Nashua, NH fire Lieutenant, Bob's skills and volunteerism seem limitless. As a volunteer before joining the Board on August 10, 2017, he did a considerable amount of work installing and/or repairing several of the museum's components including its internet capability and television displays. He built the plaque stand in the museum's lobby and has spent many hours on the floor of the museum sharing stories of the exhibits with guests. He has a long history of volunteerism and charity work including maintaining the Nashua Masonic building, for 13 years serving as chairman of the NH Shrine Circus, and serving on the board (including as its chairman) of the Children's Dyslexia Center of Nashua. He is one of our most devoted volunteers. 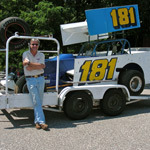 A second generation track operator, Cusack runs the very popular Beech Ridge Speedway in Maine. He has been identified as one of the nation's top promoters by the Promoters Workshops. He has accumulated photography and artifacts of his track's past to preserve its history.In addition to his title of Secretary, Cusack became a member of the Board’s Executive Committee in March, 2018. As a child, Boissoneau ran the soapbox derby, bicycle races and at age 12 he attached a Briggs and Stratton engine to a wood car he had built. He began collecting racing memorabilia as a child and now owns the largest private collection of vintage race cars in New England. 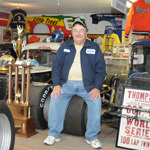 His collection includes historically significant midgets, sprint cars, and Indy cars that ran in the 1940s and ‘50s. Boissoneau is active in vintage car racing. He driven the 24 Hours of Daytona, 12-Hours of Sebring and 6-Hours of Watkins Glen. His commitment to preserving racing history is extremely strong. Before becoming the museum's treasurer in November, 2017, Humphrey became a paid member before ground for the building was broken. He's a regular at the New Hampshire Motor Speedway race weekends as well as at other tracks. With a Babson BA majoring in accounting and over 38 years as a financial auditor, tax and general business advisor, Rick earned his CPA accreditation in 1982. In addition to being the museum's treasurer, he's also treasurer for the Boston Yacht Club in Marblehead where he's an avid sailor. Aldrich's interest in vintage restoration goes back more than 50 years when he began collecting old speed equipment. 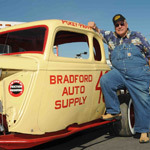 He has worked on restoration projects that have included many 1930s-50s Packards, Cadillacs and Fords as well as the restoration of the famed Bannister Bros dragster (which he owns) and others from the 1950s. He played an initial role in the definitive New England drag racing and hot rod history book, "Cool Cars and Square Roll Bars." 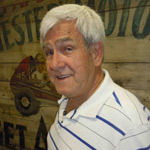 He has participated with a '32 flathead roadster at Bonneville and is on the committee for thee Ty-Rods old timers meets. 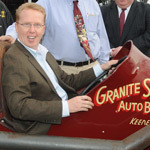 Paul has a demonstrated affection for and knowledge of the history of early drag racing in New England. Paula Bouchard is a racing person. The daughter of one of New England's most successful racers ever, Eddie Flemke, she grew up in racing. Paula married the late modified driving star, Ron Bouchard, and helped him build his automotive empire. In the months before Ron's passing, she along with Ron's sister and brother-in—law, built a magnificent museum at the dealership that celebrates Ron's life and his career. So, she has significant experience building a museum from the ground up. She was among those who broke ground for the museum in September, 2015. 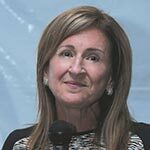 A graduate of Harvard University, Boyd has founded several successful businesses. He and his wife Cary currently own and operate Coastal 181, one of the largest publishers and retailers of auto racing books in the country. 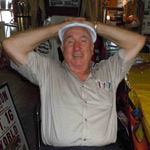 Boyd enjoyed a colorful history as a stock car driver when he won on both dirt and asphalt tracks. He was a co-founder of one of New England's most important events, the Spring Sizzler, which has continuously run since 1972 at Stafford Springs Speedway. He authored several historically valuable auto racing books. Don Breslauer joined the RHPG Board on September 25, 2015 when he was unanimously voted in by his peers. His background in road racing is extensive and successful. Included was his participation in the Group 44 effort which earned five national championships. With Mac Tilton, he was with the team that won six Trans Am races and a championship. Don has worked for cooling systems company Mecca Development in Sharon, CT, Cumberford Research where he was a designer and fabricator on a team that built a specialty car and Mueller Fabricators where he was the National sales rep. These days, he runs his own company that manufactures race cars and related components. Don's job is to help assure that road racing is properly represented in the museum. 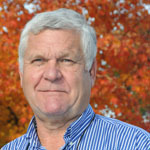 Partner with Ken Smith in NESMRA. 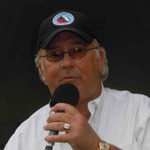 Considered to be one of the finest motorsports event promotional minds in the Northeast, Conway is a member of the Hockey Hall of Fame as well as the NEAR Hall of Fame. His book, Game Misconduct, helped save the pensions of hundreds of hockey players and changed that sport forever. 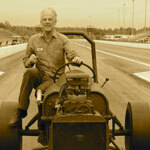 While a student, Gil started the Peace Pipes club which in 1960 was accepted into the New England Hot Rod Council and to help operate the quarter-mile drags at the Sanford Maine airport. Most Council members formed a new group and acquired land in Epping, NH, opening New England Dragway (NED) in 1966. Gil was an original member of NED's Board. Trained in metal work and mechanical engineering, Gil also studied marketing and advertising and became NED's first advertising and PR director. In 1976 he started his own marketing/advertising agency through which he develops race team sponsorship programs. He co-promotes an annual nostalgia drag racing and hot rod event at NED. In 1972, Gil was recognized as a High Riser in Car Craft magazine. 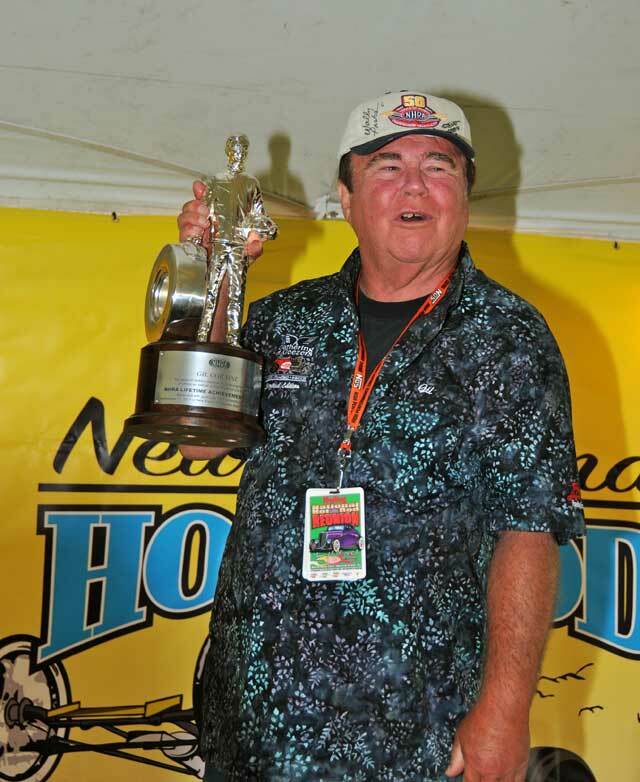 He has been selected as a "Pioneer of New England Hot Rodding," and is an inductee into the Ty-Rods Hall of Fame and the Orientals Hall of Fame at NED. He announces at motorsports events and volunteers at Bonneville. Gil recently completed a big block 1932 Ford highboy roadster. Whenever you hear "SunnDaayy" blaring out of your radio, think Gil because he brought the jingle to New England. Robert Coy has raced motorcycles all of his adult life, competing at many tracks from New England's old Bryar Motorsports Park and Thompson to Canada, Cuba, South American, Italy and then finally in Japan in 2009. He was instrumental in organizing the first vintage motorcycle road races in North America in the mid-70's at Bridgehampton and still organizes vintage road racing today at NHMS through the United States Classic Racing Association. Robert founded the USCRA in the early 80s and still heads that organization. He founded and organized the vintage road racing events through the streets of Laconia and revived the original "Laconia" track in Guilford, NH for several years. He is presently (since 1996) the AMA Off Road Rep for District 1. He has ridden a motorcycle across the Himalayas to the border of Tibet and then gone West through Kashmir. Coy is deeply involved in all aspects of vintage motorcycle activity and is positioned to ensure that the history of motorcycle racing in the Northeast is well represented in the new North East Motor Sports Museum at New Hampshire Motor Speedway. After an extraordinarily successful career as a New England race car driver and team owner, Craven went on to NASCAR's big league where he won four Nationwide and two NASCAR Sprint Cup events. He currently serves as an on-camera auto racing ESPN announcer. A graduate of Yale (Classics & Ancient History) Freeman has degrees from Harvard in Education and Government. 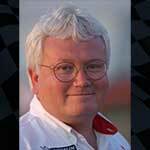 He is owner of Racemaker Press in Boston, MA, publisher of high-end motorsports books. 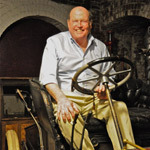 He is a past president of the Larz Anderson museum in Brookline, MA where he remains a Board member. A collector of significant racing cars, Freeman actively participates in vintage events as an owner and driver. 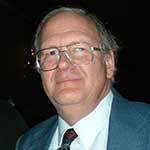 He is a member of AACA and is a judge at Pebble Beach car exhibitions. 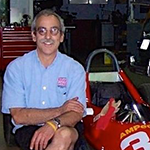 After serving as the co-creator of two enormously successful motorsports parades in downtown Concord, NH in the early 1990's, Giblin was invited by Bob Bahre to join the staff of then-new New Hampshire International Speedway in 1992 as Director of Ticket Sales and Special Events. 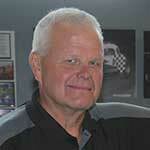 Paul has more than 35 years of motorsports experience at the highest levels. In addition to serving as President of the Sports Car Club of New Hampshire, Paul works closely with the American Rally Association as a marketing consultant assisting the National Championship Series with media, public relations and sponsorship efforts. Paul's knowledge of motorcycle racing, road racing, rally and the Mt. Washington Hillclimb, which he remains heavily involved with, make him a valuable asset to the museum. 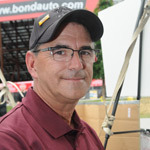 Frank Grimaldi has been successfully road racing the same 1968 Camaro since 1971, first in SCCA road racing and since 1990 in dozens of vintage races all over the eastern US and Canada. He was a Sanford Maine drag racer with his father's XK120 Jaguar when he met life long friend, John "Shag" Sharrigan of the famed NoMads Hot Rod club. An ice racer and NASCAR Late Model driver he knows all about winning (eg: 1973 SCCA Northeast Divisional National Championship, 1993 Lime Rock Historic Trans Am) and losing (crashed and burned the XK120 Jaguar at Thompson, earning the nickname "Flames" from Sharrigan). He is a veteran racer with a 50-year background in engineering and engineering management at several highly respected New England firms. 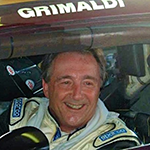 Voted onto the board unanimously in September, 2015, Grimaldi is aggressively at work sharing the museum's story with the road racing community and helping to ensure that the history of that sport is properly handled in the museum. A Vermonter with a strong interest in and knowledge of the state's racing history, Hutchins goes far enough back to have helped Ken Squire build Thunder Road Speedway. He is a seventh generation Vermonter and a twelfth generation New Englander. His interest in racing is deep, beginning in 1947 when as a ten-year-old he attended his first race at the Dog River Fairgrounds. He has served in many different roles: scorekeeper, handicapper, chairman of the rules committee, tech inspector, builder-owner of race cars and driver. Hutchins has assembled a collection of flathead V-8 coupes and a mobile photo museum. He is a member of NEAR's Hall of Fame selection committee. Frank Manafort is a racer. Currently the owner of a pair of midgets that routinely defeat the competition wherever they run, his past includes driving several divisions of stock cars at the Plainville, CT stadium. He's also a National Championship winning Legends Car driver. In 1996, Frank raced in 83 events all over the United States to win that championship. His background includes extensive experience in the construction industry. As a partner of Manafort Bros., along with other family members, Frank oversaw the construction of major projects including two Casinos. After retiring, Frank moved to Vermont where he currently owns and operates Black Watch Farm. As a member of the museum, Frank's participation on the Building Committee was so inspirational we asked him to join the Board. Frank will be one of ten people invited to participate in the museum's groundbreaking in September. A former driver, builder, car owner and currently a devoted racing historian, Mariscal and RA Silvia have been collecting race cars, memorabilia, photography, artifacts and publications for over 35 years. The majority of their collection is resident at the Pronyne museum in Pawtucket, RI. Theirs was the first motorsports museum in the northeast that was available to the public. Viewing Mariscal’s significant collection is currently by appointment only. 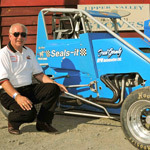 NEAR Hall of Fame member Matczak currently heads the USAC Dirt Midget Series which competes at Vermont's Bear Ridge Speedway. He and his late wife Lois fielded sprint cars and supermodifieds for more than 90 drivers. Matczak's cars have won the Oswego Classic as well as that track's championship three years in a row. Matczak is the owner of SealsIt which manufactures unique products for race cars as well as other vehicles. 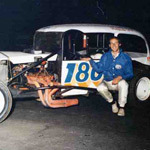 Al Novotnik has been involved in racing for his entire life, having seen his first race in 1946 (midgets) at the Danbury Fair Speedway. After serving in the US Navy, he became an ARDC crew member. He was part of Vic Yerardi's team at the New Hampshire Motor Speedway Vintage Celebration until Vic passed on. Al then took over as the event's organizer and continues to be involved. Last year, he was awarded the Bahre Cup. Novotnik also helps at the Thompson Vintage event and was a staff member at Darlington's vintage program. He has attended every vintage event at the Indy 500 since they began. The Connecticut-based Novotnik is the owner of two vintage midgets, one a Kurtis, and is a member of ACOT. 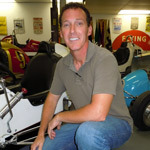 He has built a remarkable group of quarter-scale vintage race cars, among them cars for AJ Foyt, Parnelli Jones, and Steve Kinser. Dave's job as well as his passion is auto racing. After a successful career as a construction estimator Dave formed his own company, FutoFab which focuses on Datsun racing and restoration parts. He is the sole importer of reproduction sheet metal for Datsun 510 and 240Z. He is a veteran hill climb driver who participates in every Mount Washington Climb to the Clouds event. 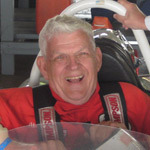 Dave has been involved in SCCA road racing for more than 25 years and is a past president and lifetime member of the Sports Car Club of New Hampshire. He holds degrees in architectural engineering and business management. The bright red trucks owned by Ed Shea carry unique concrete products throughout New England each day. With manufacturing operations in Amesbury, Wilmington and Rochester in Massachusetts and Nottingham, NH, Shea Concrete is one of New England's most robust construction supply companies, a family owned and operated business since 1949. He is a long-time sponsor of many race teams and currently supports Vic Miller's supermodified operation. 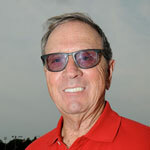 Bob Silvia has spent most of his adult life around auto racing. He is a regular in New England racing's grandstands. 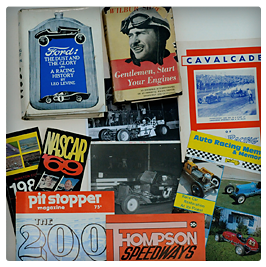 Silvia has acquired a significant collection of racing memorabilia, much of it focused on the history of racing in Rhode Island. Along with Ric Mariscal, R.A. owns and operates the ProNyne Museum in Pawtucket, RI which displays historic race cars among a priceless collection of motorsports artifacts. A fund-raising member of the Speedway Children's Charities Board of Directors, Loudon, NH resident and businessman Dave Swenson joined the RHPG Board on August 10, 2017. His interest in motorsports goes back more than 40 years during which time he has hill climbed cars and raced SCCA. 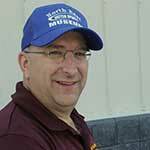 Dave is dedicated to the museum and vows to share his marketing and sales skills to help ensure the project's financial success. New Hampshire resident vonSneidern has been a life-long auto racing fan. He has restored the big car driven by Art Rousseau in the 1940s to running condition. vonSneidern also built a replica of the #621 cut-down raced by Rousseau in the ‘50s and is currently in the process of restoring several period race cars with significant histories behind them.